As the inheritor of the freedom and rights stemming from the legacy of the Polish-Lithuanian/Ruthenian Commonwealth, the Intermarium is culturally and ideologically compatible with American national interests. It is also a gateway to both East and West. Since the Intermarium is the most stable part of the post-Soviet area, Marek Jan Chodakiewicz argues that the United States should focus on solidifying its influence there. The ongoing political and economic success of the Intermarium states under American sponsorship undermines the totalitarian enemies of freedom all over the world. As such, the area can act as a springboard to addressing the rest of the successor states, including those in the Caucasus, Central Asia, and the Russian Federation. 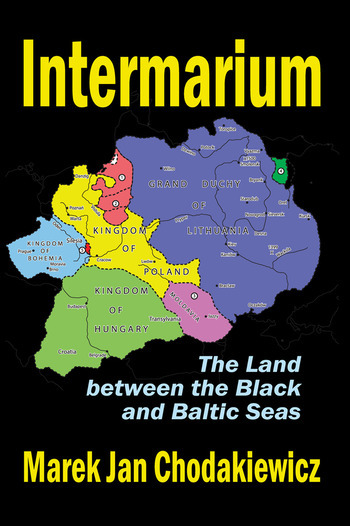 By reintroducing the concept of the Intermarium into intellectual discourse the author highlights the autonomous and independent nature of the area. This is a brilliant and innovative addition to European Studies and to the study of world cultures.